There are numerous varieties of MS instruments and techniques, each one unique in its design, complexity, and analysis capability. Whether a scientist or lab technician desires to analyze gases, chemicals, pharmaceuticals, environmental pollutants, food products, or even explosives, MS is usually the gold standard of detection, providing exceptional data for both qualitative and quantitative analyses. This article takes a look at how far we’ve come in this $5.4 billion industry, in just the first half of the year. Just this past June, the American Society of Mass Spectrometry (ASMS) held its 66th annual conference in San Diego, California. Compared to 2017 the total conference turnout jumped by 12.8%! Several companies debuted new MS products and software at the show, making for an exciting event. Agilent Technologies announced it will now offer the InfinityLab Flex Bench, and discussed support for new applicationsfor its Ultivo system, including screening for harmful compounds in food and environmental samples. 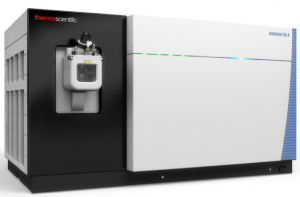 Bruker introduced the scimaX magnetic resonance MS (MRMS), which is designed to be ideal for applications such as MALDI imaging, metabolomics, clinical phenomics and petroleomics. SCIEX highlighted several technologies including clinical and biologics analyzers. They introduced the OptiFlow QuantSolution, which delivers microflow quantitation for peptides at high sensitivities. Shimadzu introduced a research-grade system (LCMS-9030 Q-TOF MS) designed for high-resolution, accurate mass detection, with very fast data acquisition rates. Its signal-to-noise ratio is greater than 3000:1. 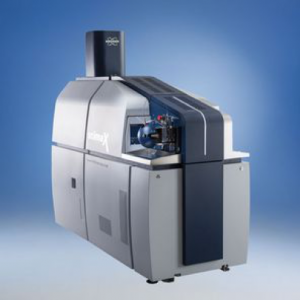 Thermo Fisher Scientific launched the Orbitrap ID-X Tribrid MS, which combines quadrupole, Orbitrap and linear ion trap mass analyzer technology. This technology has come a long way since its introduction in 2005. Waters debuted its Xevo TQ-GC, the company’s newest GC/MS system. The system is designed to be a workhorse instrument for food and environmental laboratories. New products with improved sensitivities and efficiencies were not the only technologies to improve the overall workflow this year. In February, South Korea hosted a major sporting event – an event which Korea Institue of Science and Technology prepared for by integrating Thermo Fisher’s LC/MS and IRMS workflows at their doping control center to screen and identify banned substances in athletes. Bruker and Evosep set up a co-development & marketing agreement in March, to integrate their TOF MS systems for high-throughput clinical proteomics. In April, the US FDA authorized the first test to identify the emerging pathogen Candida auris (C. auris), which can cause serious infections in hospitalized patients. The FDA permitted marketing for a new use of the Bruker MALDI Biotyper CA system for the identification of C. auris. Freenome, developer of an AI genomics platform, announced in April a collaboration with Biognosys to advance early-cancer detection and precision oncology. Overall, MS is a market that has come a long way since first evolving in the 1890’s that now has applications from pathogen detection to precision medicine. Many companies are seizing the chance to explore what opportunities and growth this new market holds for their futures. With all the recent developments in this constantly evolving market, scientists have more choices than ever when it comes to mass spectrometry analyzers, both in terms of brand and technique. However, several players still dominate overall market share. Our report shows that Thermo Fisher, Agilent, and SCIEX are the top players in the mass spec market covering almost 50% of the combined overall market share. 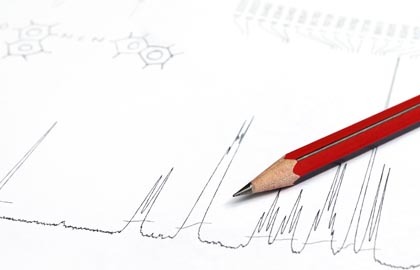 For more information and analysis about the Mass Spectrometry market, download a free report brochure or click here to visit the report’s product page. Stay tuned for our next article in the series, which will preview some sample data from the report.